Our partnered servers are servers we communicate with and help with in a mutually beneficial way. Whether it be through shared advertising, plugin help, render help, assets in building projects, or just hanging out and having fun we provide many things to our partners. If you wish to become a partner of the military builders fill out the form below. Are you owner, co-owner, etc? What is your Server IP, what kind of server is it, etc. The Cubed Community is a creative Minecraft freebuild server that has been around since 2014. Our aim is to create a place where people go for both the great community and the many creative possibilities. We set ambitious goals and always do our best to achieve them – and we’re well on our way to do so. We allow basic tools and commands from the start, for through working with less you innovate and create to meet your dreams rather than choose the easy route. As you develop, we supply more through promotions; creativity and opportunity is very important to us. Another thing that is incredibly important to us is being original. We’re always pushing ourselves to come up with new innovative things to keep your experience interesting. Shipside is a server that is directly partnered with the Military Builders, as their server is now fully apart of the Military Builder server with another half of their assets now belonging on the Cubed Community server. The Shipside community pride themselves on making some of the best ships in the entire minecraft community. The Gates of Aevony server is our first partner of the Military Builders. We share a hub through bungeecord with them and they pride themselves on making some the best content our group has ever seen. Including but not limited to medieval towns, Battlefield 4 maps, etc. The Valius Network is the process of undergoing major changes to help improve their server that we are more than welcome to help with. The Valius Network provides a survival PvP based server with unique weapons and custom server items that make their server one of the most unique of all. 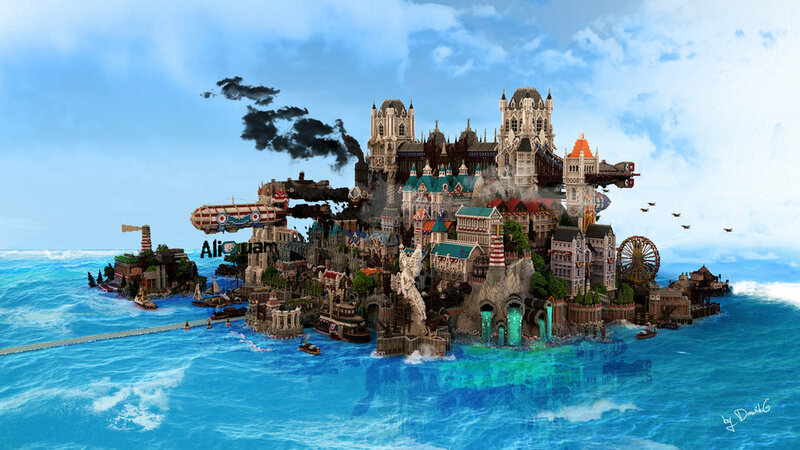 Aliquam is a creative minecraft server that allows players to have their own worlds, full WE access, and the ability to download there own worlds at anytime with a single command. Among much much more. The access they give to players on their server to new members is almost unheard of in the Minecraft community. Join there server today right here. If this alone doesn't get you interested in joining then we don't know what will.